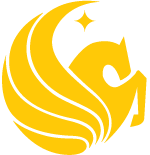 Established in 2005 by Mr. Bob Yarmuth, CEO for Sonny’s Barb-B-Q, and his family, The Sonny’s Endowment provides a study abroad experience to UCF’s highest achieving Burnett Honors College students. Students must apply for an Honors study abroad program to be eligible for the award. Upon completion of the award, students are expected to present on their experience and document a reflection on the program. President's Scholarship has not been awarded before. No more than 80 credit hours completed by the end of the spring semester prior to travel. Honors students who are not eligible for the President’s Scholars Program can apply for a $500-$1,000 Honors Spring Study Abroad Scholarship. These scholarships are awarded competitively and the award level depends on program costs. These scholarships can be applied towards any study abroad program.